Hey everyone! If you are an Aquaman or Entourage fan, here's what I want you to do... Go to this page and submit a request for an Aquaman T-shirt from the Entourage show! For the subject line, put "Entourage Aquaman T-Shirt?" and for the content, just request a t-shirt based on the Aquaman movie in the show, and maybe thank them for the show while you are at it. 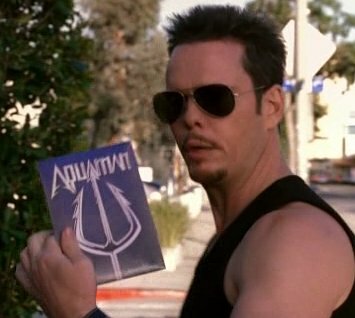 I'll be checking the HBO Entourage Shop regularly, but I would so buy an Aquaman T-shirt with that design on it. So let's start a wave. Write in and ask for it.